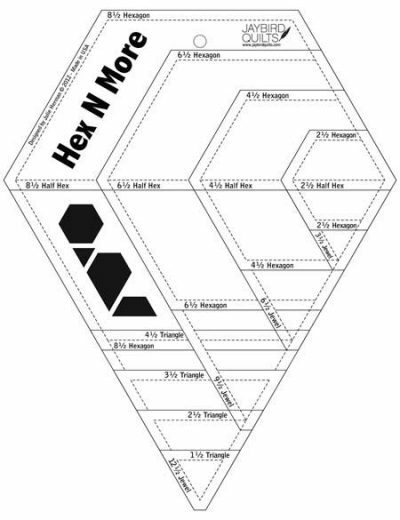 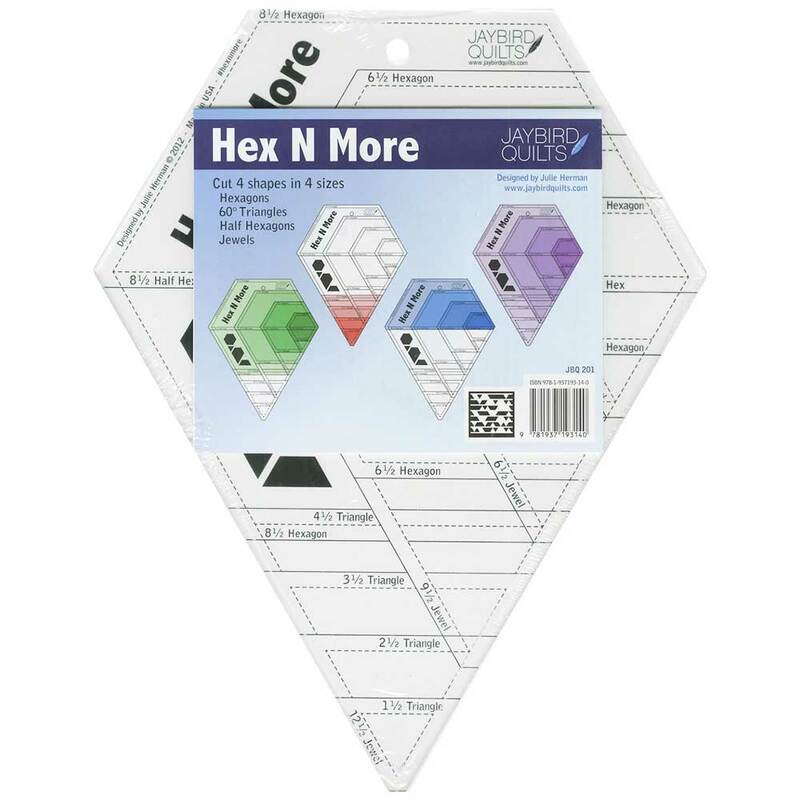 Use this one ruler to cut Hexagons, Half Hexagons, Jewels and 60° Triangles in 4 different sizes. 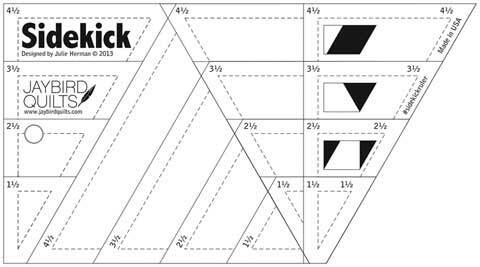 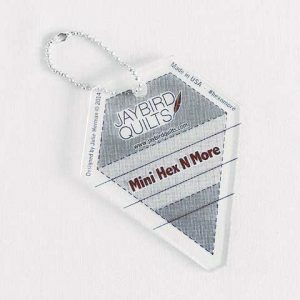 The Hex N More ruler by Jaybird Quilts is a versatile ruler that cuts 4 shapes in 4 different sizes as outlined below. 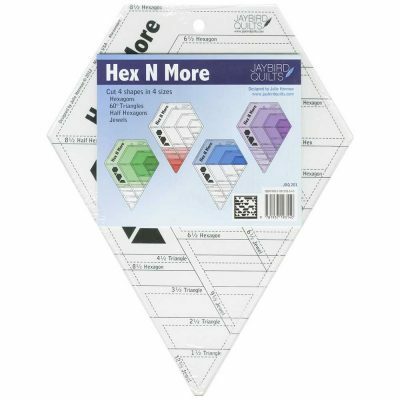 Includes full colour instructions and all shapes can be rotary cut from strips. 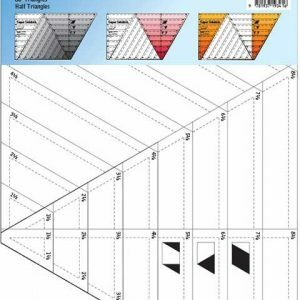 This ruler will make the task of cutting quicker and easier which will mean you will be ready for the actual making in less time. 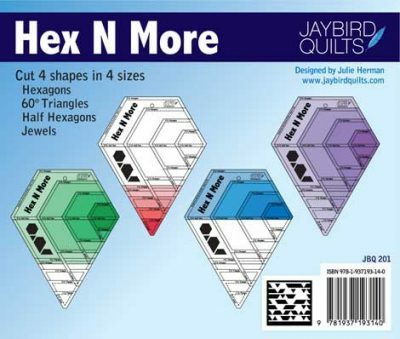 This ruler works with many of the Jaybird Quilts patterns and projects.